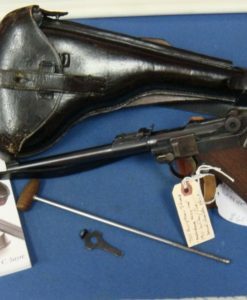 SOLD VERY EARLY PRODUCTON (523rd) US ARMY COLT 1924 TRANSITION MODEL………STUNNING! 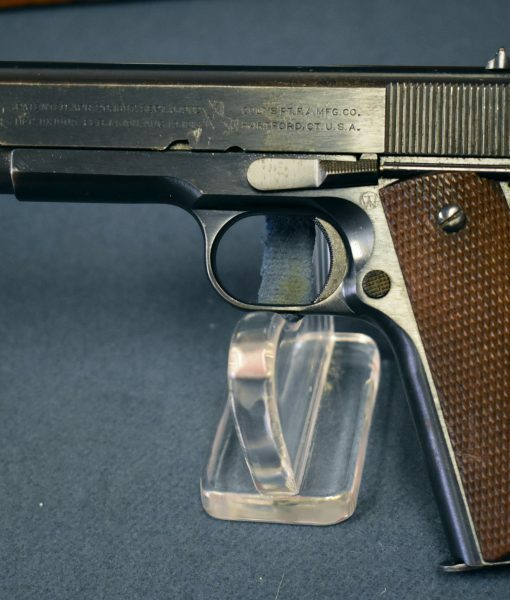 In 97+% original unmessed with condition, we have a top condition example of a Colt US Army Colt 1924 Transition Model, the very first of what would be known as the model 1911a1 pistol. 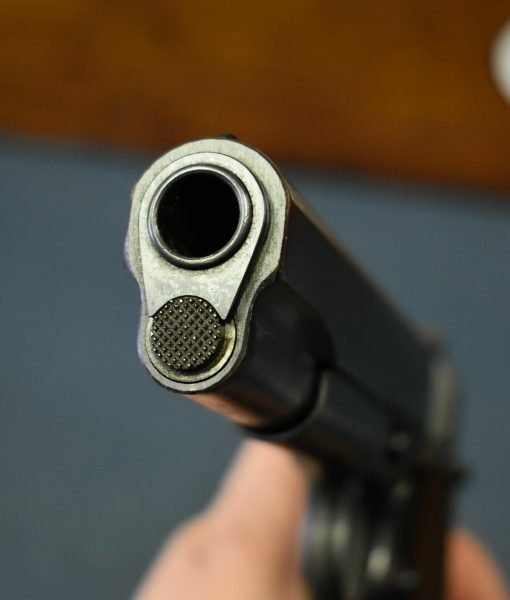 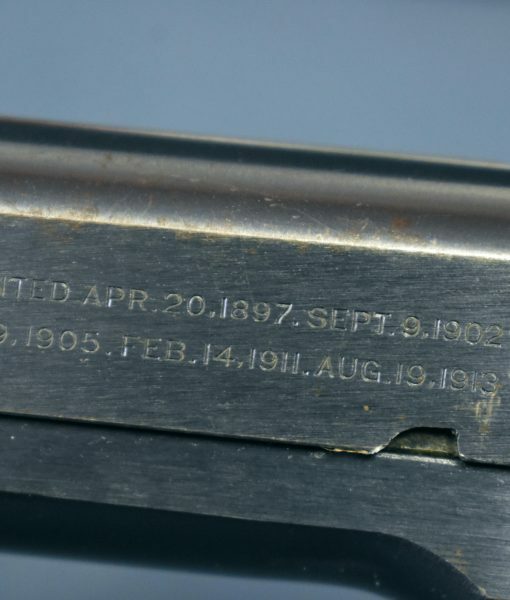 Initially called the “improved model 1911“, the nomenclature was changed to model 1911a1 in May of 1926. 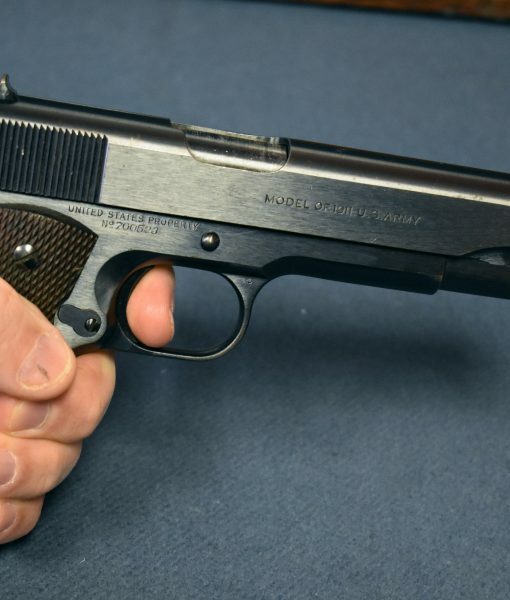 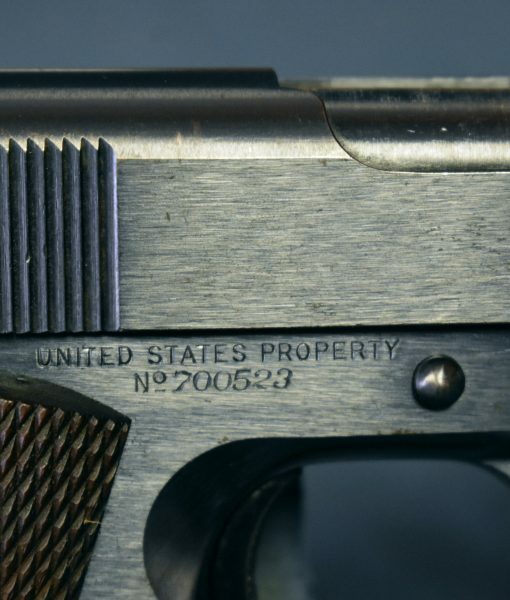 Today, collectors refer to this pistol as the 1924 transition model. 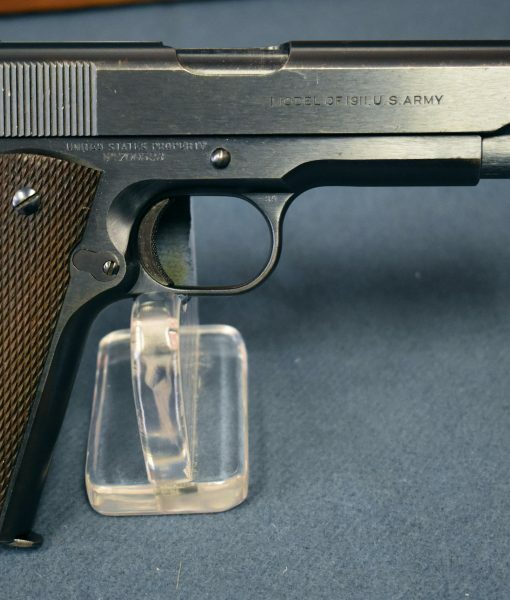 There were 10,000 of these pistols produced and this one is very early in the run, its the 523rd pistol manufactured. 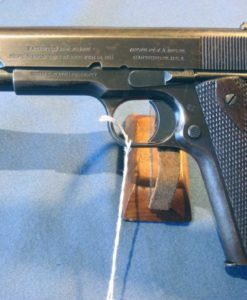 This pistol is factory original and correct as per Clawson and it does have the original stepped HP barrel and the bore is mint. 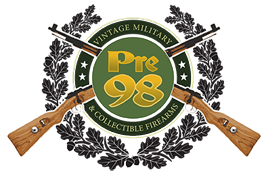 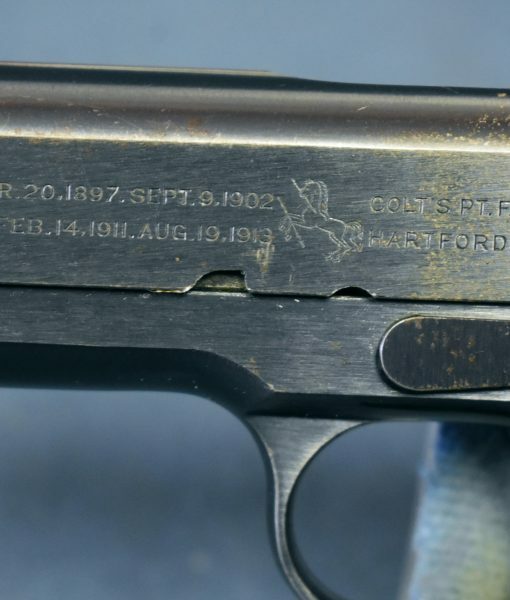 It was shipped from Colts to Springfield Armory on January 23rd, 1924 in the very first shipment. 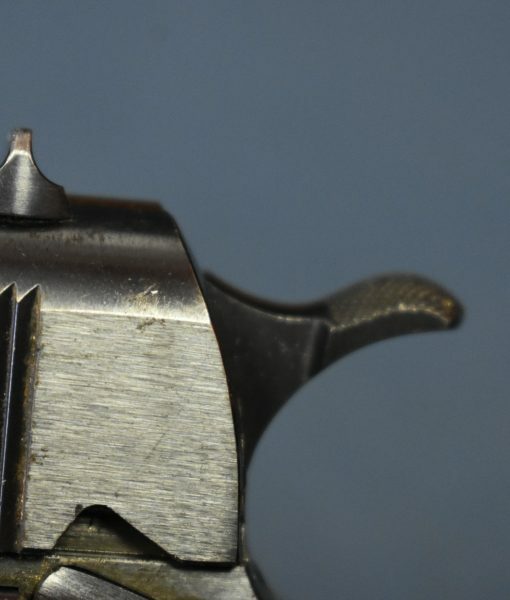 This is a top condition example and it is rare to find these pistols in original condition let alone this crispy. 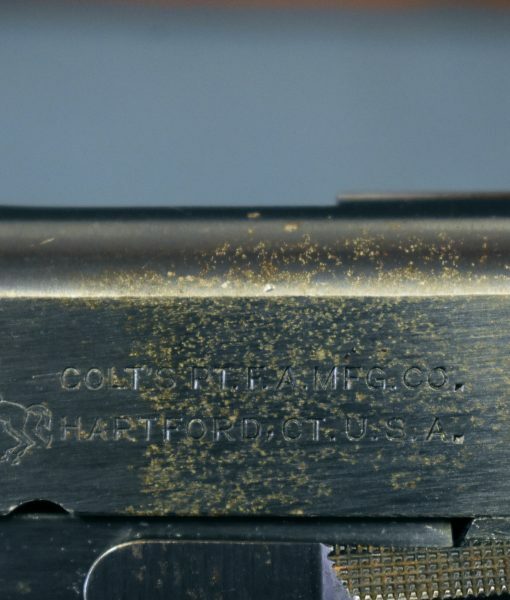 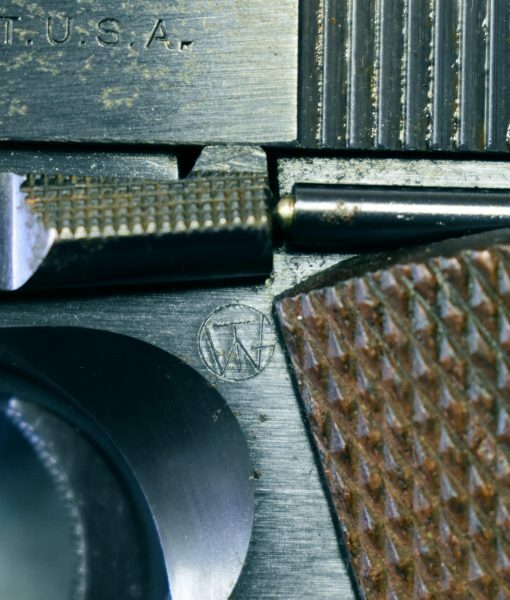 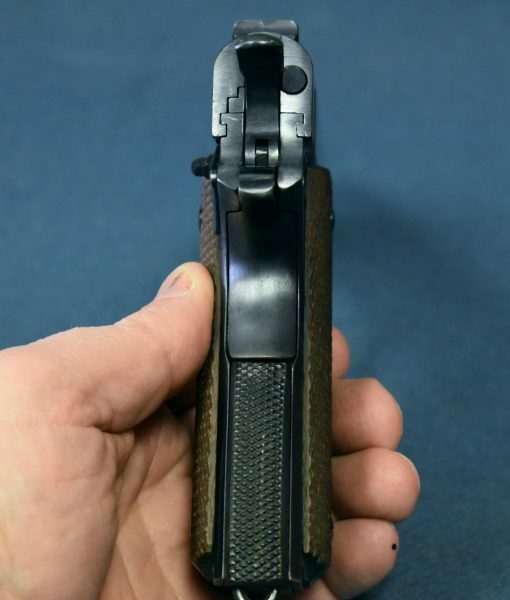 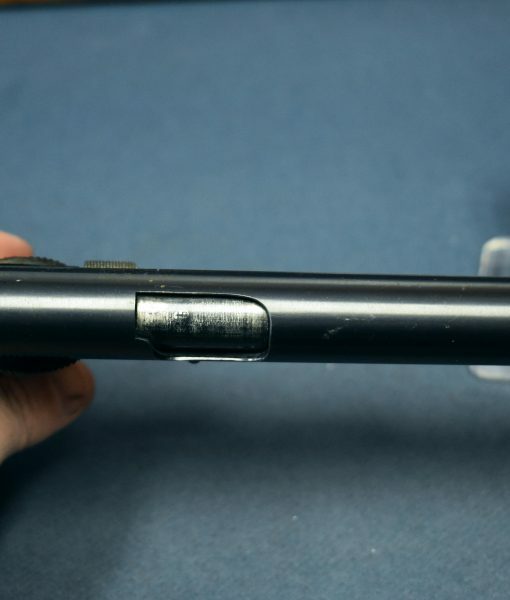 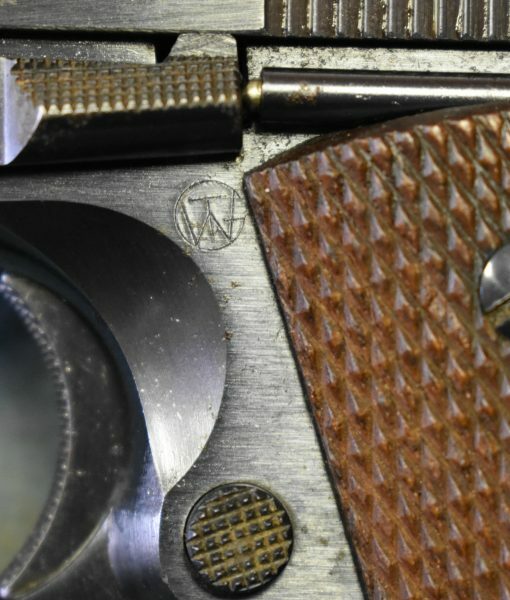 There is a small are of holster rash about an inch long on the right end of the logo of the slide….if that was not there you would be paying 15K for this pistol. 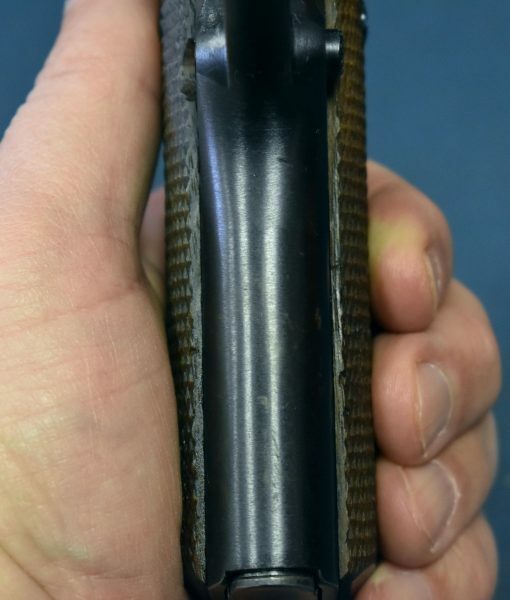 Most of the Transition pistols were lost during WW2 or rebuilt after the war so this is a real find. 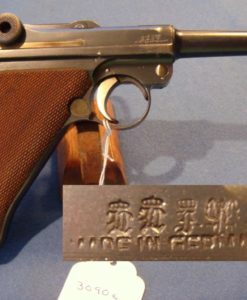 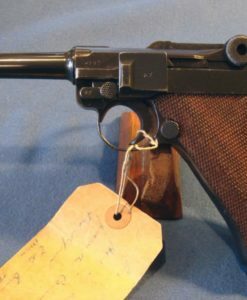 Colt made 400,000 pistols during the second World War and only 10,000 of this model 1924 Transition were ever made, so this is an incredibly tough gun to locate, especially this crisp. 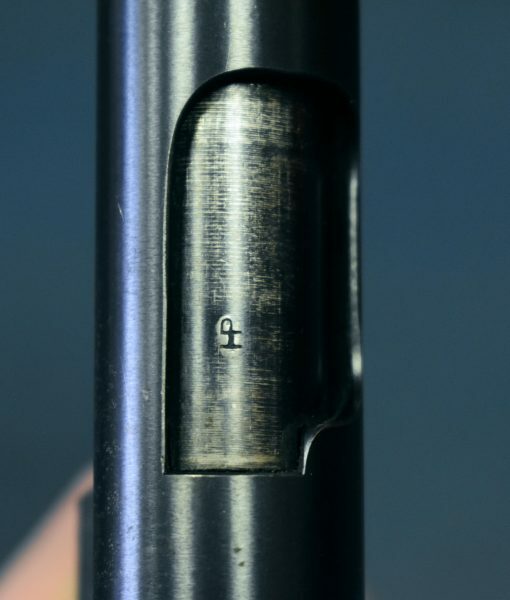 It is just eye watering stunning! 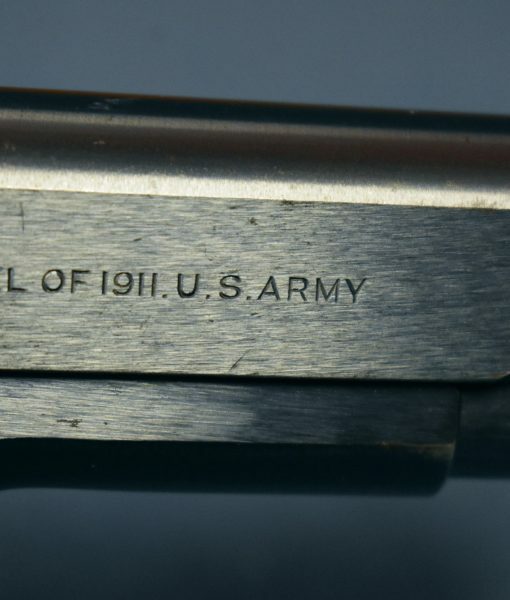 SOLD COLT 1911 US ARMY LATE 1913 PRODUCTION VERY NICE!